Think of it as a timeline of everything you've done on your PC, with wireless copy and paste thrown in. You've probably never heard of the Microsoft Graph before, but it's going to be essential to the company's push into being the connective glue between all of your devices. For the past few years, the Graph has a shared platform connecting office apps. But with the upcoming Windows 10 Fall Creators' Update, it'll also "connect dots between people, conversations, projects and content." Announced during the second day of Build 2017, the aim is to make all things Microsoft work seamlessly, whether you're on an iPhone, an Android device or a Windows PC. (And without mentioning Continuum.) The new features goes beyond that, tapping into Microsoft's cloud storage services in a bid to make you more efficient while switching across different hardware and keeping track of (almost) everything you do on your PC. Let's take a look. Timeline is possibly the most intriguing feature, offering a (literal) timeline of what you were working on slash doing on your PC months or even years ago. This will encompass files, apps and even websites: Microsoft says it'll be as if you never left them. Will it offer older unedited files? Will this visual timeline only begin from the day you start using the latest version of Windows? We expect to hear more from Microsoft on this. Cortana is, predictably, a prime part of that whole seamless digital experience. Microsoft explains you'll soon be able to log off of your PC and have the document you were previously poring over pop up on your smartphone -- who needs a coffee break, right? Cortana will ask if you want to pick up where you left off, whether it's a document, website or app. It brings the promises of Continuum to phones that aren't running mobile iterations of Windows. This is a good thing. Clipboard is also picking up a cloud-powered upgrade, with the option to copy from and paste to any of your connected devices. At the moment, they have to be Windows machines or popular smartphones, and we know that for mobile devices, you'll need to have SwiftKey installed as a keyboard to offer up the pasting shortcuts. It'll be able to beam photos, links, entire paragraphs and even GIFs (less important) across your various devices. The final part of the Graph pitch is Microsoft's cloud storage service, OneDrive. Now with Files on Demand, users will be able to access and use all of their cloud files without having them take up precious storage space on their device. 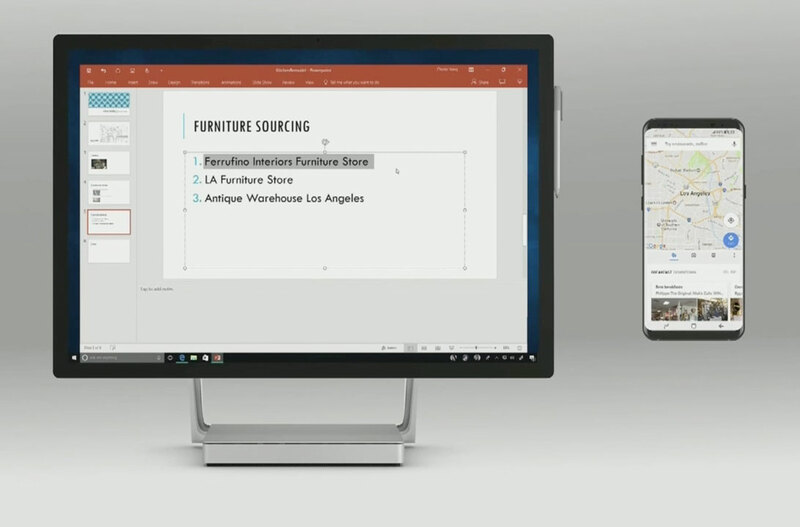 They'll be displayed in File Explorer, and users will still be able to lock them to work offline when they need to work without an internet connection. All these features will roll out with the Fall Creators Update later this year. Naturally, they will also arrive decked in the company's new Fluent Design, ready for mixed reality headsets in 2020.